Kalahari Plains Camp, Botswana – The Great Canadian Travel Co. 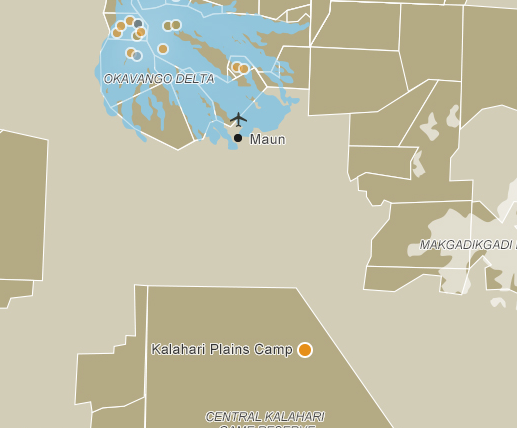 The Kalahari conservation area is the largest in Botswana and one of the largest in the world, yet only has two permanent camps. 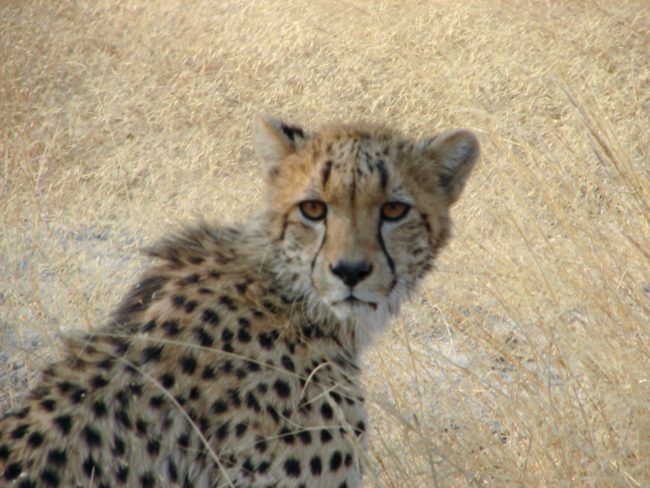 Its star attraction is the legendary Kalahari black-maned lion, but also offers some of the world’s best cheetah viewing. Prices are shown in US$, per person based on two people sharing a twin room. Pricing for one person in a single room is available on request. The actual price for your tour may vary from the starting prices shown depending on your date of travel and availability of accommodation. 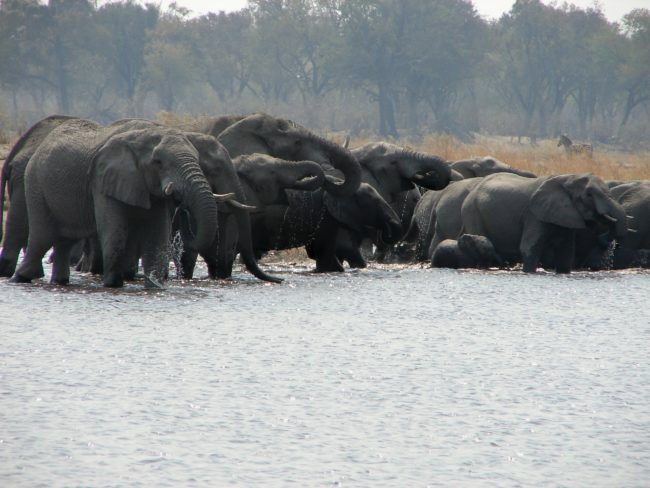 These special rates provide unmatched value for money with promotional camp rates and scheduled, circuit flights from Maun airport to camp and return. Fly from Maun Airport by scheduled, light aircraft to Kalahari Plains Camp where you will stay for two nights in a tented room. Kalahari Plains Camp in the Central Kalahari Game Reserve overlooks an immense pan with endless horizons and beautiful skies. 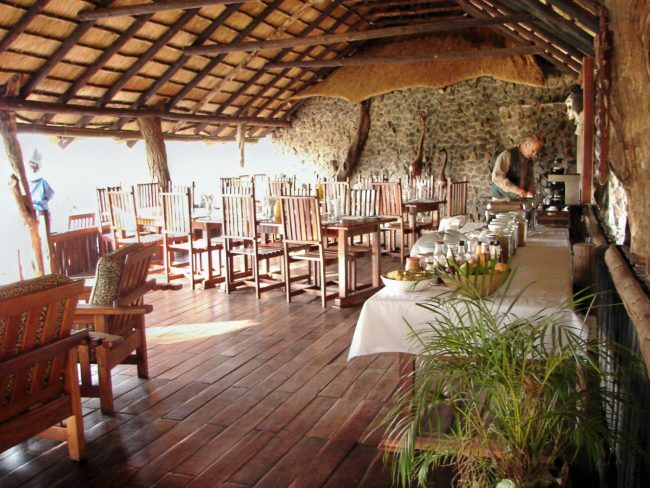 This eco-friendly camp is beautifully placed to take advantage of the famed, outstanding wildlife of this reserve. Settle into one of the eight en-suite canvas units with a unique rooftop sleep-out, built to take in the sweeping views. The camp’s staff will host you in the dining and lounge area or will provide you with a refreshing drink on the viewing deck or while you’re taking a dip in the plunge pool. 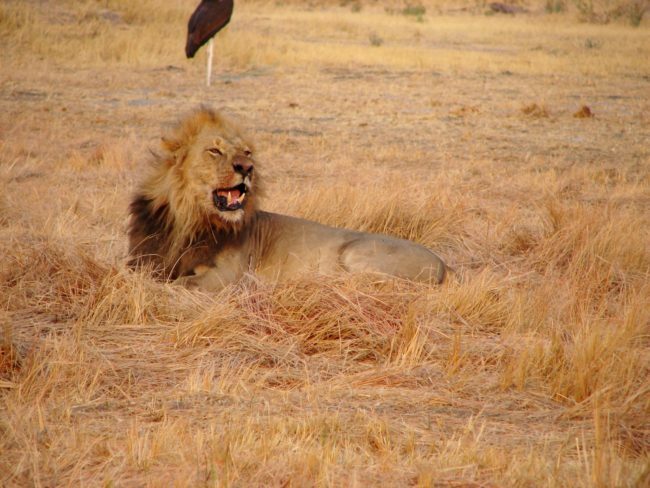 Home to the legendary Kalahari black-maned lion, you can anticipate a magical stay in this enormous game-rich area. Wilderness Safari has actively engaged the local Basarwa (Bushman) people, integrating them into the potentially, mutually beneficial ecotourism industry. The camp is 100% solar powered. The concession is characterised by open grassy plains, seasonal pans, wooded acacia islands, scrub-covered dunes and fossil riverbeds. Game drives will unlock the wildlife treasures found here, while San (bushman) experiences provide insight into the unique culture of the local people. 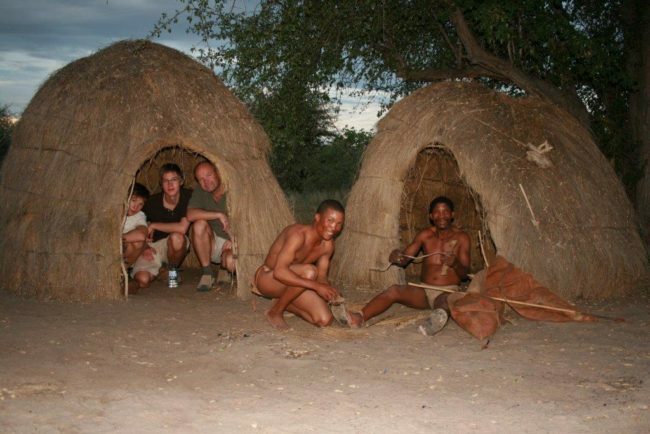 Check out Margot’s blog under Our Staff Blogs to read about her experience with the San bushmen. During the wet and the dry season, wildlife varies. 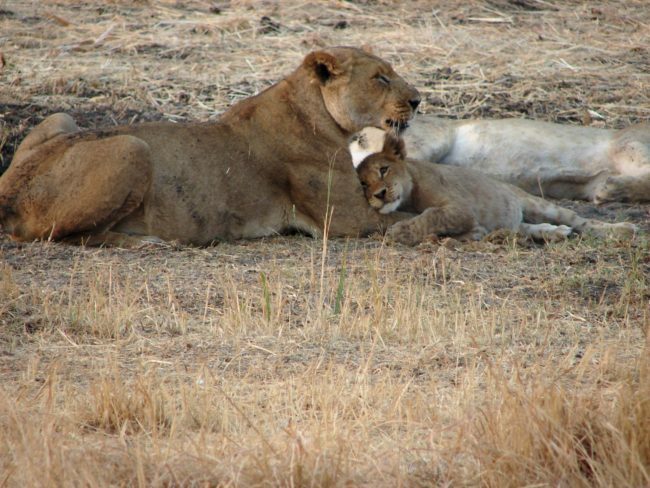 Invariably you will come across a vast array of plains game followed by their predators – lion, leopard, cheetah and brown hyena. Some 220 bird species have been recorded in the area. 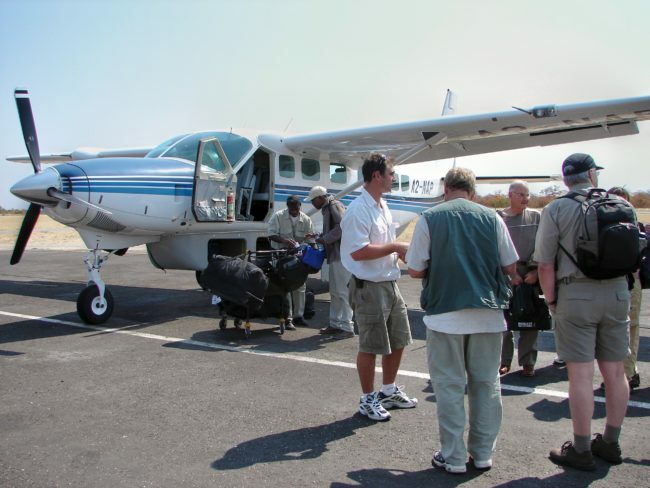 Depart camp at around noon and fly by scheduled circuit, light aircraft from the camp back to Maun Airport and join the Botswana Spectacular tour. 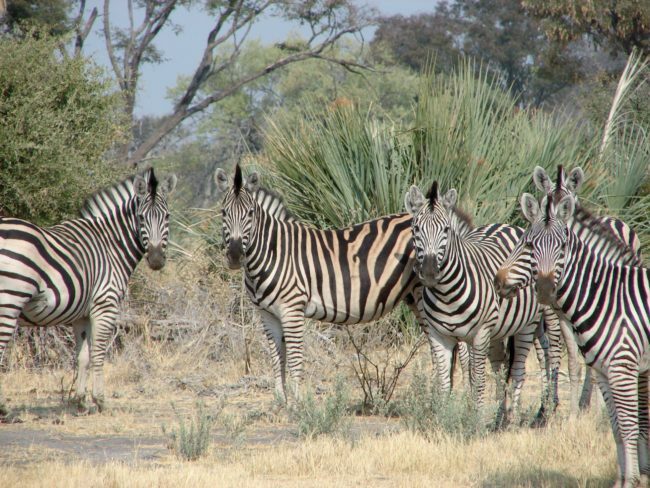 The seven-day Botswana Spectacular tour departs early afternoon, making for an easy connection without much waiting between flights.